Born in Blandford, Dorset, Kurt Jackson is a leading British artist. Before reaching university age, he had travelled extensively throughout the world including the Amazon Rainforest and the Arctic Circle. By his late teens he had developed his own affiliations to libertarian politics and environmental issues. 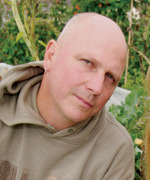 At university, Kurt Jackson initially opted to pursue his interest in natural history, and he graduated from St Peter’s College, Oxford with an honours degree in Zoology. However, he spent most of his time attending classes at Ruskin College or painting in the countryside surrounding Oxford. In 1983 he travelled and painted throughout Africa before he and his wife Caroline settled in Boscastle, moving in 1989 to West Cornwall where they still live with their three children. Kurt Jackson’s paintings are fluent, dynamic and exciting, resulting from a working method that is both challenging and intense. He has worked with a number of charities, raising money and awareness about their work. These include Survival International, Greenpeace, Oxfam, Friends of the Earth, VSO, WaterAid, Cornwall Wildlife Trust and the Woodland Trust. 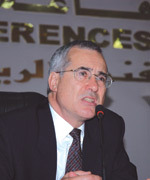 Sir Nicholas Stern is best known as the head of the highly influential Stern Review on the Economics of Climate Change, which was published in October 2006. The Review argued the economic case for tackling climate change and concluded that the cost of doing nothing would be greater than the cost of taking action. He served for four years as adviser to the UK Government on the Economics of Climate Change and Development, reporting to the Prime Minister. He is currently IG Patel Professor of Economics, heading a new India Observatory within the London School of Economics’ Asia Research Centre and Visiting Fellow at Nuffield College, Oxford. From 2003 to 2005, Sir Nicholas was Second Permanent Secretary to Her Majesty’s Treasury and from 2004 to 2005 Director of Policy and Research for the Prime Minister’s Commission for Africa. From 2000 to 2003, he was World Bank Chief Economist. From 1994 until late 1999, he was Chief Economist and Special Counsellor to the President of the European Bank for Reconstruction and Development. His career before 1994 was mostly spent in academic life, including spells at the London School of Economics, Oxford, Warwick, the Massachusetts Institute of Technology, the École Polytechnique in Paris, the Indian Statistical Institute in Bangalore and Delhi, and the People’s University of China in Beijing. Sir Nicholas’s research and publications have focused on economic development and growth, economic theory, tax reform, public policy and the role of the state and economies in transition. Sir Nicholas is a Fellow of the British Academy. He took a BA in Mathematics at Cambridge and DPhil in Economics at Oxford. He has an Honorary Doctorate from Warwick and is an Honorary Fellow of St Catherine’s College, Oxford and Peterhouse, Cambridge.